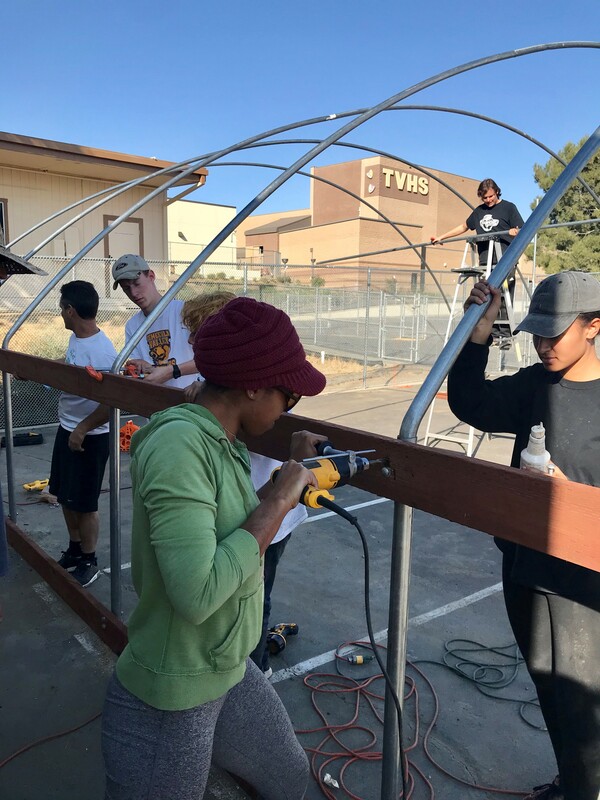 Using a California Teachers Association Institute for Teaching (CTA-IFT) grant, Temecula Valley High School’s (TVHS’s) Biosustainability Club continues toward completion of its on-campus greenhouse that will supply fresh produce and fish for their culinary arts program and the city’s local community pantry. 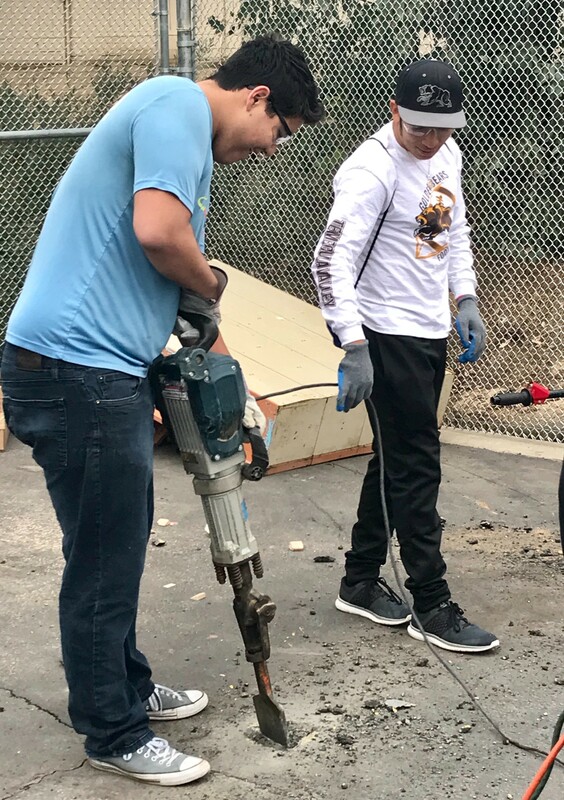 Over the weekend, the program received volunteer assistance from over fifty club members and parents who spent Saturday breaking out asphalt and mixing and pouring concrete for post holes that would support the greenhouse infrastructure. On Sunday, the roofing infrastructure and sidewall supports were completed. 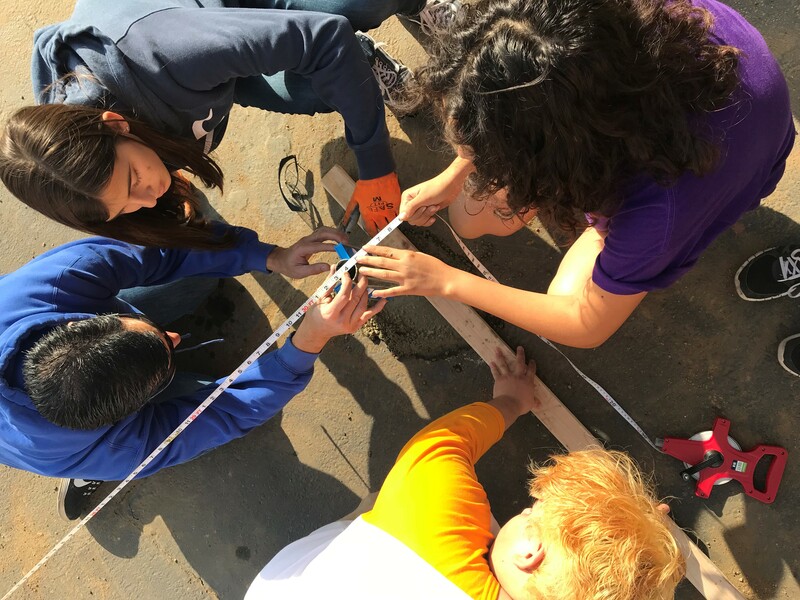 Look for the story of the project from inception to completion in a future issue of the California Educator magazine.